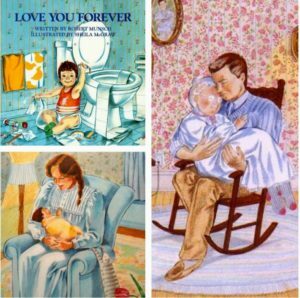 ‘Love You Forever’ A Sweet-Sad Story…for Children? 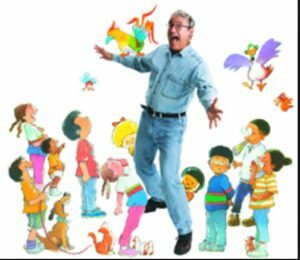 “Munsch says the song was too painful to sing out loud. For a long time, he couldn’t even share it with his wife. 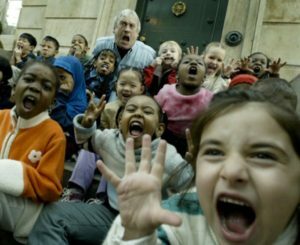 [The song] was my way of crying, Munsch told The Huffington Post. After the second stillbirth, doctors told the couple that they would never be able to conceive — news that devastated Munsch, who had worked in orphanages, received a master’s degree in Child Studies, and dedicated his life to writing children’s books…The couple went on to adopt three children, but Munsch used his song as a way to grieve their two previous losses. He would sing it to himself like a silent lullaby, never writing it down or saying it out loud. Unlike his past work, which could take years of performing to flesh out, this one came out whole. 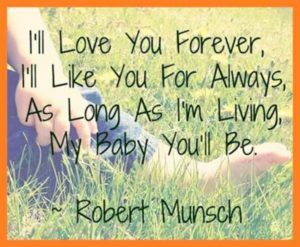 Munsch told his audience about a mother who would sing her son the same lullaby at night throughout every phase of his life — even sneaking into his room to sing it when he’s fully grown. After the second stillbirth, the couple cried. They felt that they would never be able to conceive. It felt like someone gave him a punch in the solar plexus. He made up a story to accompany the song on the spot. It was the first time anyone heard the now iconic song. The story was about a mother who would sing her son the same lullaby at night. Some publishers thought the story was too dark for the children’s genre. Some readers were moved by the mother’s unconditional love. Munsch retired from storytelling after he suffered a stroke in 2008. Directions: The following sentences are from the article. 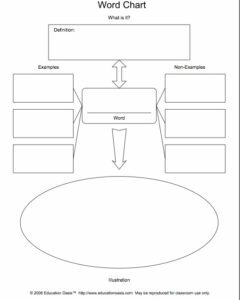 Choose the correct word for each blank space from the word list or make up your own words. He ___from ___after he suffered a stroke in 2008 and says he now___ himself ___to the mother in Love You Forever when she’s old and ___at the end of the st story ory. He’s still ___of the book, not only because it’s his most___, but because he___ it offers ___for others just as it did for him. For ___who picks up the book, it’s their___, not mine. Word List: relating, someone, retired, storytelling, finds, successful, solace, proud, sick, hopes. Directions: Have students choose a picture from the article and write a descriptive paragraph using adjectives. 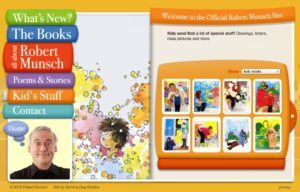 Directions: Place students in groups and have each group compose a letter or note to Robert Munsch asking him something they would like to know about the topic.